FRANKFURT -- German power companies are likely to partner with automakers to tap into a 1 billion euro ($1.1 billion) government incentive scheme for electric cars, an RWE executive said. Driven by fear that energy could be dominated by the likes of Google and Apple, both of which have made forays into the sector, power firms are focusing on vehicle-to-grid communication as a possible source of revenue. "We assume there will be partnerships between utilities and carmakers in the near future," Thomas Birr, head of strategy at RWE, Germany's second-biggest power company, told Reuters. This could involve integrating electric cars into the grid and using their power to satisfy peak demand or to store surplus energy, a market expected to grow to $7.5 billion by 2020. Earlier this month Nissan Motor Co. said it was launching a trial this year with Italy's Enel to allow electric car owners in the UK to sell electricity back to the National Grid and potentially make money in the process. 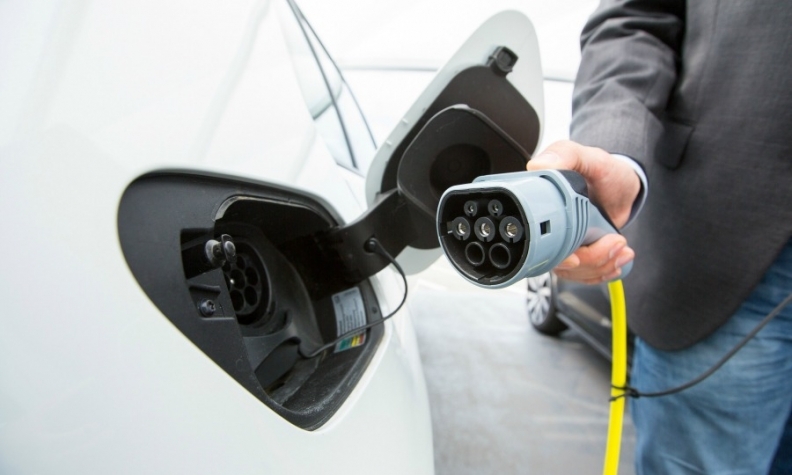 While there has been little uptake for electric cars in Germany so far, a government support program announced last week grants subsidies to buyers of EVs and plug-in hybrids raised hopes that demand will improve and drive the need for infrastructure, including charging stations. RWE, which is in the process of pooling its renewable, grid and service units into an entity separate from its money-losing power plant business, has already installed more than 3,100 such stations, more than half of Germany's roughly 5,800. But rather than just focusing on building more, RWE is looking at how it can earn money by integrating the rising number of electric vehicles into the power grid, which already needs to cope with a major surplus in renewable energy output. "What you don't want is the power grid to collapse if there happen to be three electric cars charging in the same street at the same time," Birr said.